Whether you own an excitable puppy, a disobedient dog, or an old dog who needs to learn some new tricks, you may be wondering how to train your dog? If you want to train your dog but aren’t sure where to begin, this post features some relevant information to get you off to a successful start. Properly training your dog is always the way to go – that means dedication, positive reinforcement, and lots of patience! Learning how to train your puppy correctly is crucial. Read on for helpful training tips. Dog training is beneficial for many reasons, but it’s especially important for socialization, obedience, safety, and forming a meaningful bond with your canine companion. Socialization means exposing your dog early and often to a variety of people, places, animals, sights, and sounds. Helping your dog experience a variety of positive interactions builds confidence, lessening the chances of social anxiety or aggression in adulthood. Socialization is one of the most important factors of your dog’s development. It’s important not to force your dog into interactions that make him uncomfortable, as this can actually have a negative impact. Instead, begin learning your dog’s boundaries. Allow him to observe different types of animals, people of different age groups, and several different settings. Ultimately, this will lead to a comfortable and confident dog who can properly handle any and all social interactions. When your dog is properly socialized, you can rest easy knowing that your dog will interact appropriately with children, older adults, other pets, and more. You don’t have to worry about unfamiliar situations causing your dog to feel uncomfortable and respond with excessive aggression or timidity. Learn more about socializing your dog and see an extensive list of ways to socialize your puppy in our ultimate guide for first time dog owners. Of course, training is also essential to teach your dog obedience. Your dog needs to know that you are in charge and that you maintain the control in your relationship. Many dog breeds have a tendency to try to assert dominance, and proper training can teach your pet that this is not acceptable. 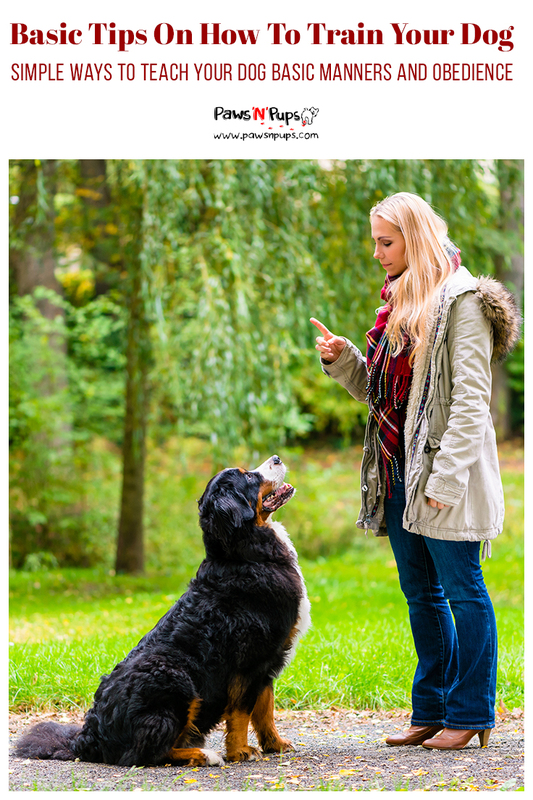 Training can help curb inappropriate behaviors ranging from chewing furniture, jumping on people, leash pulling, aggression, excessive barking, and more. Naturally, this will make life with your dog a happier, less stressful experience for both of you. Helping your dog learn proper behavior is also key to the safety of your dog and others around him. For example, you can teach your dog not to run into the road or chase after cars and passing animals. You can train him not to be aggressive with others and to obey your cues in social interactions and daily life. This will prevent your dog from engaging in behaviors that may be dangerous or harmful to himself or others. Training can also benefit your dog’s mental health, which will lead to better overall happiness, health, and safety. Lastly, properly training your dog can help foster a strong bond between you and your pet. When you train your dog with positive reinforcement and gentle guidance, a trusting relationship is formed. Training demonstrates that you care about your dog and want him to be happy and safe. You will be repaid with his undying loyalty and obedience as a result of good training. If you can train your dog without using force or intimidation, you’ll have a well-behaved dog and a lifelong bond. If you want to train your dog but don’t have experience, it’s best to attend a class or hire a professional. 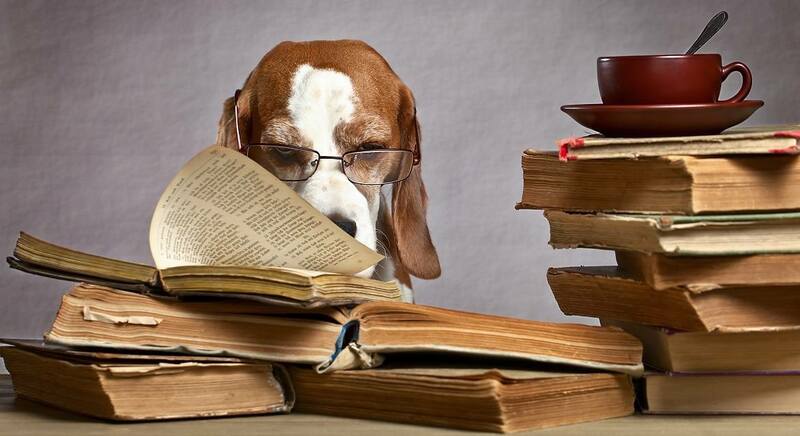 Watching YouTube videos or reading a few articles may not be enough to train your dog effectively on your own. Training a dog is a lot harder than it might seem if you’ve never done it before. It’s easy to become frustrated because the process can become tedious sometimes. Some dogs are more intelligent than others, so while some dogs will pick up on your commands very quickly, other dogs will require more repetition. That being said, there are several different types of training available, such as general behavioral training, basic obedience, and specialty training with professional trainers. General behavioral training is ideal for puppies and young dogs who have no training experience. These classes are sometimes labeled as “puppy kindergarten” and focus on socialization and helping dogs build confidence in unfamiliar situations. Behavioral training may also address common behavioral issues such as housebreaking, chewing, and inappropriate barking, and your dog may learn some very basic commands. Potty training is pretty self explanatory. Your puppy needs to be potty trained immediately once you bring it home, so it does not go to the washroom in your house! Expect your puppy to have some accidents in the house during the initial week or two, but this behavior will cease quickly as you work on potty training. Obedience training is slightly more advanced and teaches key commands like sit, stay, and lie down. Younger dogs can usually succeed with obedience training as well, and classes typically begin by addressing and resolving any behavioral issues. There are usually multiple levels of obedience courses. Your dog can learn to walk on a leash, come when called, manage distractions, and build a variety of skills. If you want your dog to compete in dog sports, you may be interested in the more advanced agility training. Before attempting this type of course, your dog should have mastered basic obedience and commands. These courses generally teach skills needed for obstacle courses, jumping, or racing and involve more challenging drills. Similarly, you can enroll your dog in vocational training to learn how to perform jobs such as hunting, search and rescue, herding, or guiding and assisting people with disabilities. Like agility training courses, these courses shouldn’t be attempted until your dog has a basic foundation of proper behavior and obedience. You can also enroll your dog in private training with a dog trainer. These lessons are best for dogs who don’t work well in group settings, or if you’d like to build a personalized plan for your dog’s individual behavior and training needs, and have all of the trainer’s attention solely on your pup. Additionally, if your dog has developed any issues, such as very excessive barking, overly aggressive behavior, or depression, it’s best to see a professional rather than attending a more general class. Typically, a private trainer will come to your home or meet you at a partner facility. They will work with you to understand your dog’s personal needs and set goals. You can also work toward specialty training or certification if interested, and a professional can help you understand what is required of you and your dog. Private classes are more expensive than group classes, but they can be extremely effective and beneficial, especially for dogs with very specific needs. You can choose whatever type of training is best for your dog, but young, inexperienced dogs should start with general behavioral training and obedience training through group classes or in private sessions with a professional. If you are a new dog owner, group classes may be beneficial for you as well, because you will be able to connect with other dog owners. First, you should start training early for best results. Puppies can start training as early as 7-8 weeks, and they learn best up to 12 weeks of age. It’s never too late to start training your dog, but training is much easier before an older dog has learned bad habits. All dogs are trainable, but some dog breeds are more receptive to training than others. If you haven’t done so already, you may want to read up on how your pet’s breed responds to training, so that you know what to expect. Before signing up, you should also make sure all check-ups and vaccinations are up-to-date for your dog. You can sign your dog up for classes through the American Kennel Club, the Animal Humane Society, pet supply stores, or through programs offered locally. Your best bet is to start with an online search and carefully read ratings and reviews. You can also ask for recommendations from your breeder, veterinarian, dog groomer, or other dog owners. Look for a place with valid credentials, a proven track record, and friendly staff. Consider sitting in on a class or two to make sure the program seems like a good fit for your dog. If you observe a class, look for signs that the instructor genuinely likes dogs and people, appears to understand that different dogs have different personalities and needs, and gives clear advice. See if the dogs and dog owners seem to be happy and enjoying the class. If you get a chance, try talking to some of the owners about their experience with the trainer and course. Once you’re enrolled in obedience classes, you can expect your dog to learn skills such as coming when called, sitting, staying, lying down, not pulling on the leash during walks, and not barking or chewing excessively. The class will also provide your pet with opportunities to socialize with other humans and dogs. You’ll learn how to use positive reinforcement, encouragement, and treats to train your dog, rather than using harsh or intimidating techniques that often cause dogs to respond with even more stubbornness and misbehavior. This will help you build a positive, strong relationship with your dog that will result in better overall behavior. Most obedience classes are held weekly for 7-10 weeks, and many locations offer several levels of obedience courses. The cost of these programs varies. A group class may cost $50-$125, while private sessions are closer to $30-$100 per hour. Classes can be more expensive for older dogs, and private trainers may charge more for a dog with serious behavior problems. For best results, you should practice the skills learned in class while at home. Use short, upbeat training sessions, and utilize the positive reinforcement techniques taught in obedience class. Experts recommend that you take your dog to obedience school every 2-3 years to continue enforcing correct behavior. You may be familiar with the following dog trainers, who have their own TV shows, websites, and published books. Cesar Millan has hosted the shows Dog Whisperer and Cesar 911, and currently stars in Cesar Millan’s Dog World. In 1990, when Millan first immigrated to the United States from Mexico, he was homeless and made ends meet by grooming dogs. Quickly, he earned a reputation for his ability to calm even the most disobedient dogs. After working a variety of jobs, Millan made enough money to start a freelance dog rehabilitation service, eventually opening his Dog Psychology Center. On his latest show, Millan and his son Andre travel throughout the United States, helping dog owners deal with severe behavioral issues, assisting organizations devoted to helping dogs, and highlighting canine heroes. Victoria Stilwell is an English dog trainer who previously appeared as a judge on Greatest American Dog. She now hosts It’s Me or the Dog, a dog training show on Animal Planet. Stilwell’s passion and expertise lie in positive reinforcement dog training. In the 1990’s, Stilwell started a dog walking business and realized that many of her clients needed professional dog training assistance. She began learning about dog training from some of England’s most respected experts. After moving to the United States, Stilwell founded several successful dog training companies with her husband. Her TV show, It’s Me or the Dog, features Stilwell helping families learn to manage their misbehaving dogs. She observes the family, provides her professional opinion on their dog’s behavioral issues, and then works with the family to resolve the problem. Brandon McMillan is an animal behaviorist and animal trainer who hosts the Emmy-award winning show Lucky Dog. Although McMillan trains many celebrity pets, his true passion is rescuing the most difficult dogs from his local animal shelter. On Lucky Dog, McMillan rescues dogs and brings them to Lucky Dog Ranch, his training facility, where he teaches appropriate behavior before finding a loving family to adopt each dog. McMillan uses a three-step training strategy he calls “Control, Train, Treat.” He focuses on the seven most common commands and can turn a dog’s behavior around in as little as seven days. Dog training isn’t always easy, but any dog can be trained with patience, positive reinforcement, and consistency. Whether you sign your dog up for group obedience classes or one-on-one lessons with a professional, learning to properly train your dog will result in increased comfort, confidence, safety, and happiness for you and your pet.